A unique wedding & engagement venue in Dubai. Alexandra is a diner + cruise conceptual restaurant that offers daily dinner cruises in Dubai’s premium water canal - Dubai Marina. Onboard Alexandra we serve a diverse menu which caters to the diverse clientele that we serve on a daily. 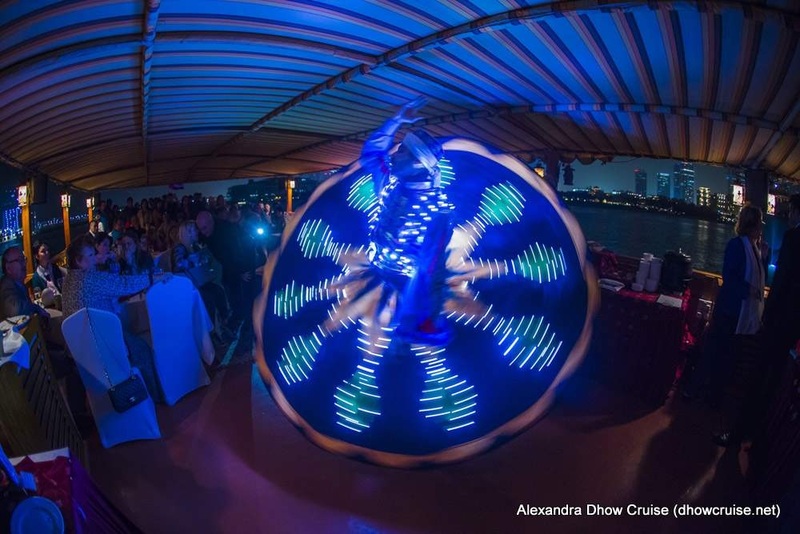 Onboard Alexandra we have 2 resident entertainment programs a female vocalist and a male tanura dancer. The Dubai Marina water canal is a renowned piece of architecture and a premium area for a dinner cruise. We operate 2 very similar refurbished dhow boats in Dubai Marina, Alexandra I and Alexandra II. An important part of any function is the entertainment! We can offer you 3 excellent options to entertain your guests. Who doesn’t love a beautiful female voice? Our lovely singers will add a little flavor to your dining experience with some pieces that you will surely recognize! The tanura dance is a flurry of movement of light that is extremely visual and will definitely leave an impression for someone seeing it for the first time. Everyone loves to see things they cannot understand. We all want to feel that inner child, and one of the few things that can do that is a craft illusionist. wide range of menu builders which will be shared to you along with a quotation. There are quite a few components that go into a private event. Entertainment & extras are optional. The boat is located in West Bay, Dubai Marina - you can see the map location if you scroll down. How much is the price per person? Its not a simple answer because every event is different, we tailor make each event to fit the needs of the group. The price depends on the duration, timing, type of menu, entertainment and extras. You can see the price section for an idea of each component. For small groups, we can work out a semi private option that will fit in timing with our other groups and will be a more budget option. Can we have our own catering? Yes, however please note it needs to be a full catering provider that will provide all necessary equipment and staff, not just the food. For any other questions please call or whatsapp Timur Khamitov, contacts listed above. Please fill in the form and I will get back to you with a detailed proposal within 1 business day. I have received your message and will get back to you with a detailed proposal shortly. Planning your wedding in Dubai can be very overwhelming, as Dubai weddings have a reputation for being overtly grand and glamorous. However, wedding trends are shifting towards smaller, cozier- still glamorous- events, especially for engagements or wedding after-parties. A unique wedding venue in Dubai is a dhow cruise down the Dubai Marina. It’s a unique and intimate way of celebrating this wonderful occasion. Not to mention, a romantic one too. Picking the right wedding venue. A traditional Dhow Restaurant is one of the most innovative and unique wedding venues in the city, and given some decorations, careful planning & entertainment planning can result in a perfect wedding. Picture dancing with your partner on the rooftop of the dhow, underneath the desert starlight, surrounded by the cosmopolitan city lights. On this special occasion, any bride can agree that the ultimate purpose of the event is having her loved ones present and planning a memorable and enjoyable event. This lovely Dubai Marina cruise can be an unforgettable experience for the honorable couple and their guests. Alexandra is a very unique and special venue for hosting a small and affordable wedding. The most unique aspect of Alexandra Floating Restaurant as a wedding venue in Dubai is that it’s a boat that moves and thus the scenery is always changing. Onboard Alexandra we try to avoid ‘set packages’ but rather we work out ways that make a custom made package for every event and every budget. Every event requires a different menu and different entertainment, different timing, different duration, different decorations and different logistical requirements. By tailor making every package we are able to make sure that the wedding is perfectly suited for the needs of the event. We are able to create packages for more expensive weddings but we mainly specialize in small weddings in Dubai since our boat capacity by the standards of a wedding is rather small. If the budget of a wedding is low, we are able to put together affordable wedding packages in Dubai. Number of People: ~ 80 people, seated across upper & lower deck. Alexandra Dhow Cruise is owned and operated by ABSEA YACHTS AND BOATS RENTAL LLC. “Dhow Alexandra” is a traditional wooden ‘Dhow’ – a wooden Arabic Ship that has been refurbished and rennovated into a high class floating restaurant operating in Dubai Marina. 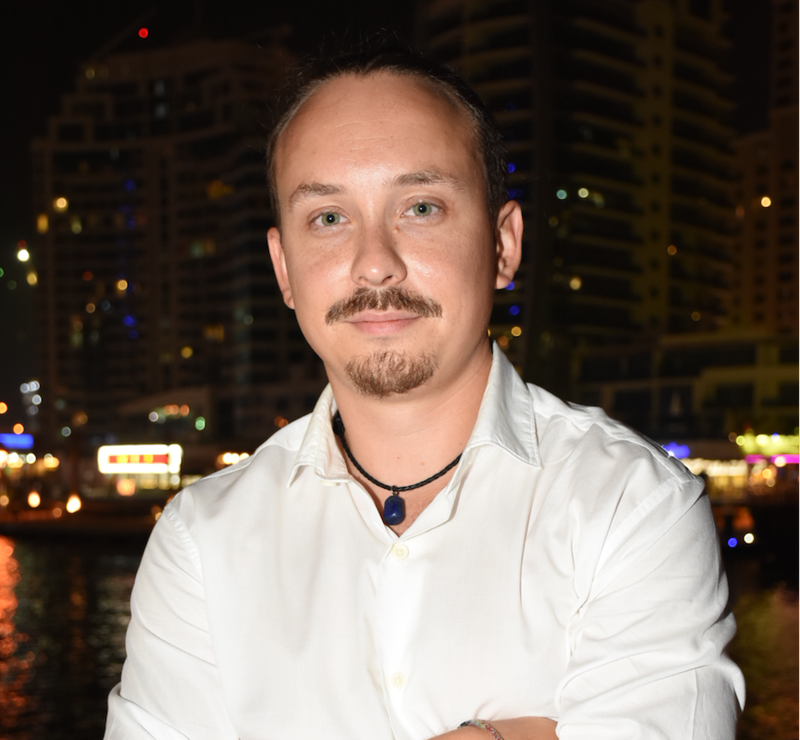 Alexandra has been the top dhow cruise in Dubai Marina according to TripAdvisor and Viator for many years running.